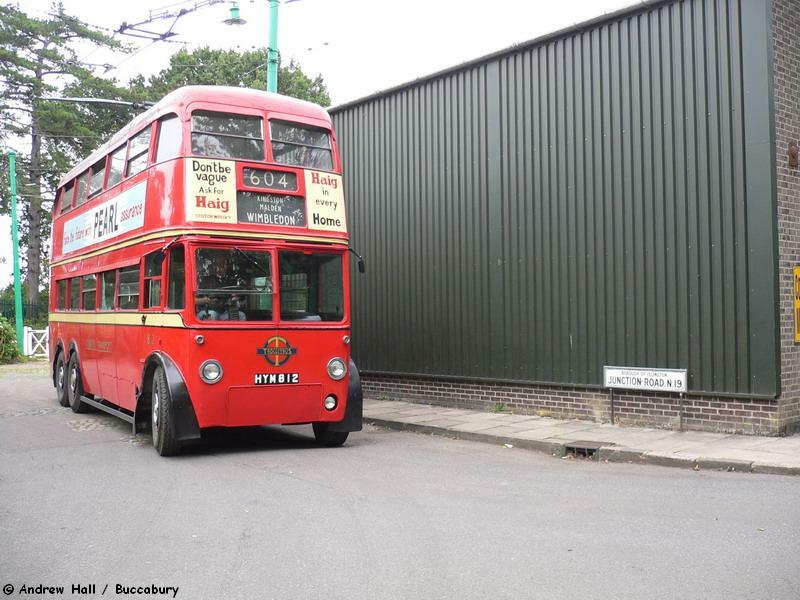 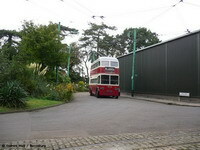 East Anglia Transport Museum - Woodside Triangle. Ex-London Transport 'K2' Trolleybus 1201, EXV 201 at the Woodside Triangle heads to Chapel Rd, after reversing into the turning triangle. 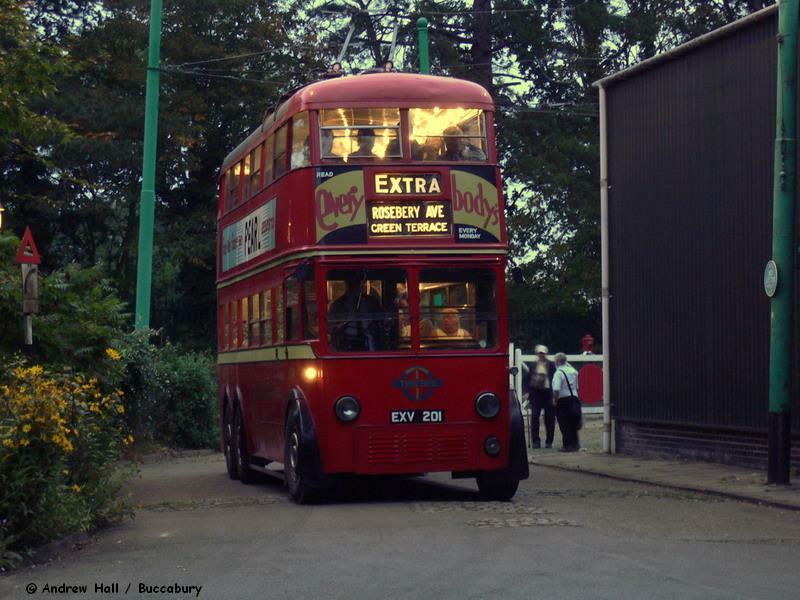 Ex-London Transport 'Q1' Trolleybus 1812, HYM 812 waits at the Woodside Triangle before heading to Chapel Rd. 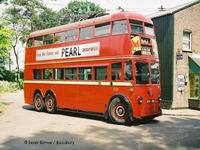 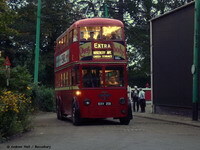 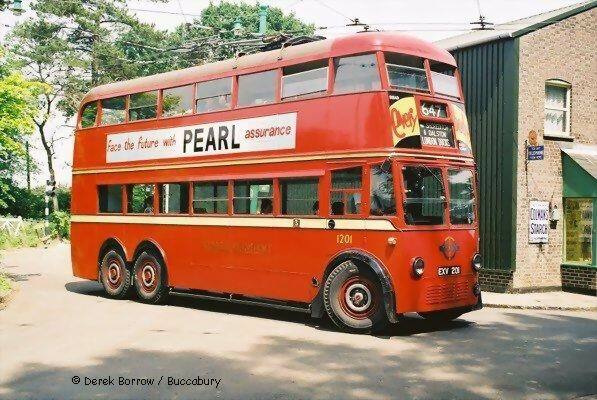 Ex-Portsmouth Corporation Trolleybus 313, ERV 938 waits at the Woodside Triangle before heading to Chapel Rd. 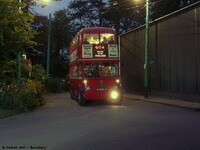 Ex-London Transport 'K2' Trolleybus 1201, EXV 201 at the Woodside Triangle preparing to return to Chapel Rd, in the gathering darkness. 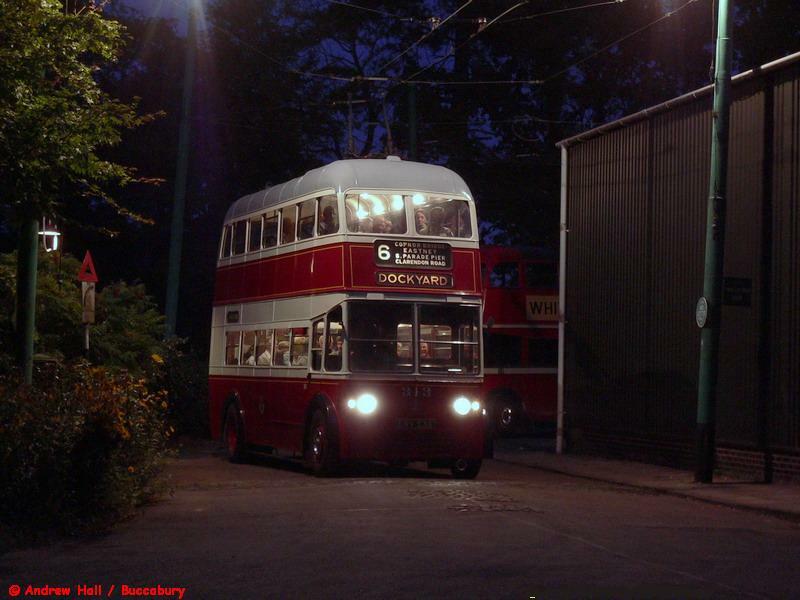 Ex-London Transport 'Q1' Trolleybus 1812, HYM 812 at the Woodside Triangle preparing to return to Chapel Rd, in the gathering darkness. 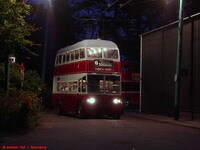 Ex-Portsmouth Corporation Trolleybus 313, ERV 938 at the Woodside Triangle preparing to return to Chapel Rd, as darkness settles over Carlton Colville. 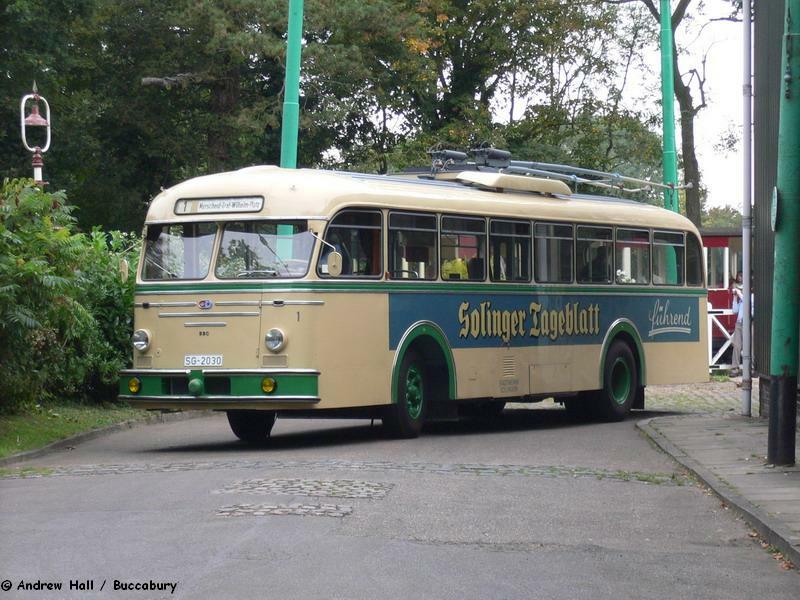 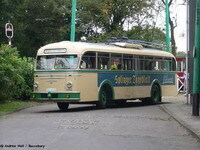 Ex-Solingen (Germany) Trolleybus 1, SG 2030 at the Woodside Triangle drives round from its shed at back of the depot, using its built in engine.